Ethan captured my heart so very quickly as he's such an inquisitive and gifted little boy but, like every child who is different, he is a magnet for bullying. He can see physics: sound waves, shifting air and light refracting that is invisible to the naked eye. The boys at school call him Stephen Hawking, which is certainly not an insult, although the boys are not bright enough to realise this. 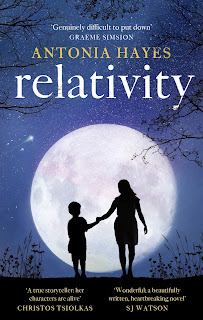 It is perhaps in Ethan's genes as his dad, Mark, was a theoretical physicist but Ethan has never met him. His mum, Claire, protects him from his own history, a history where Mark was accused and convicted of an unthinkable act and served time in prison. Now Mark has returned and he and Ethan are drawn to each other like they have their own magnetic field. Antonia Hayes completely enveloped me in such exquisite narrative that I couldn't bear to put the book down and found myself reading far later than planned. Relativity is filled with beautiful poetic lines such as: "pink light scattering through the window, making the white kitchen tiles blush", leading me to double check that this was actually a debut novel. The common thread running throughout is physics and I actually felt like I was learning things along the way, with subtle explanations and examples of physics being woven into the story. 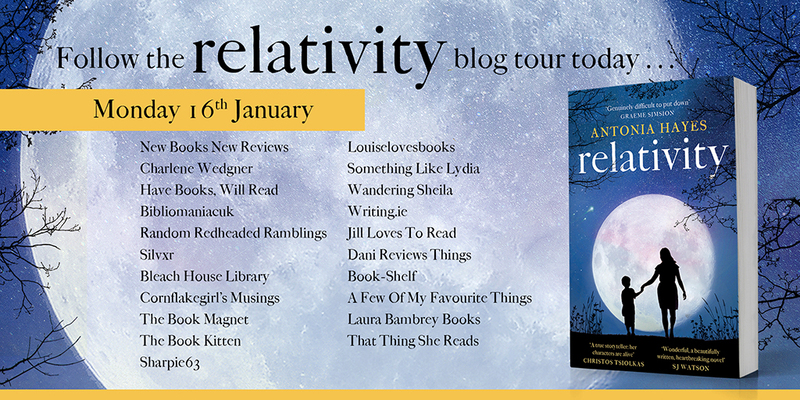 Relativity is a book that is as special as the boy who stars in it. As Ethan's story unfolds and we find out what really happened with Mark, it sometimes becomes difficult to read. I did involuntarily gasp out loud and felt an icy grip around my heart at the pain and horror this little family had to go through when Ethan was a baby. So heartbreaking, beautiful and poignant yet terribly funny at times, Relativity is an amazing debut that once you pick it up, has its own gravitational pull causing you to hold on and never let go.